YouTube TV Review 2019: Cut the Cord and Go Online! YouTube TV Review 2019: Cut the Cord and Go Online! YouTube TV Review 2019: Cut the Cord, Go Online! Experiencing TV wherever you go is the way to do it in the digital era, so cutting the cord makes sense, and so does the diverse offering over-the-top services offer users, including the likes of YouTube TV. 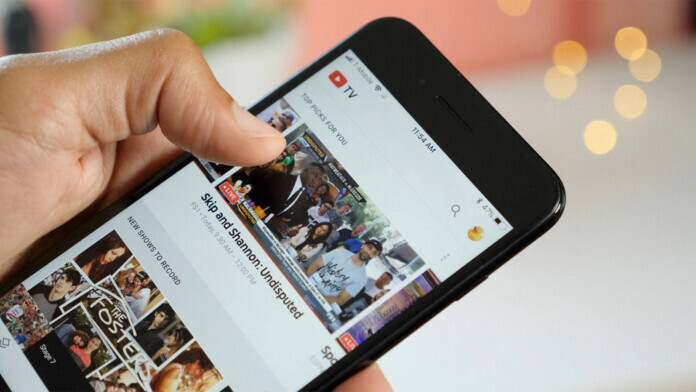 In fact, YouTube TV, which has been around since February 2017, allows you to take your favorite channels with you anywhere you go, on loads of devices. You can also customize your package with extra channels. The coolest parts, however, seem to be integrated into the “Google experience,” but we’ll expand on this later on. 3Mbps for SD videos, 7 Mbps for one HD video, 13 Mbps for multiple HD videos on same network. YouTube TV used to be available only in certain metropolitan areas, but they’ve since expanded throughout the United States. Yet, the platform is still locked for those who live outside the US, which means you’ll have to get creative if you want to access it from abroad. The location problem can be solved with the help of a premium VPN like ExpressVPN. 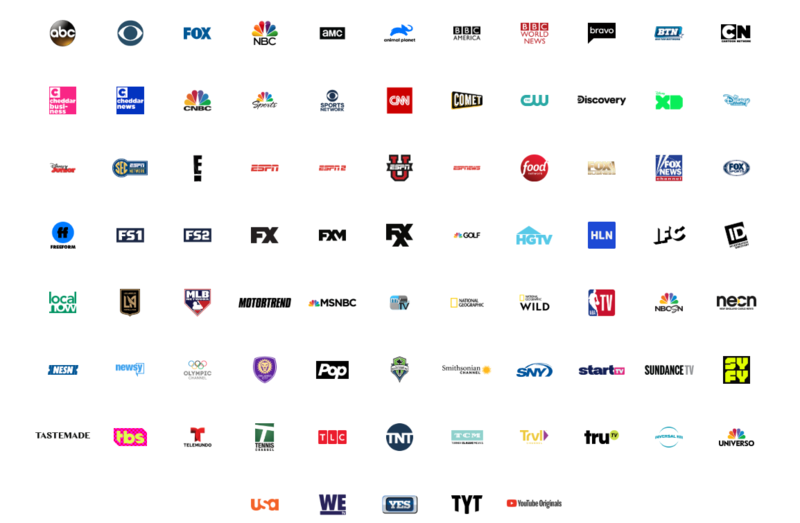 YouTube TV has an interesting line-up of channels it offers users, but there are no real bundles like we’ve seen with other similar OTT platforms. YouTube TV’s offering includes the following networks in the $44.99 per month ($54.99/mo if billed through Apple) subscription package: ABC, CBS, FOX, NBC, AMC, Animal Planet, BBC America, BBC World News, Big Ten Network, Bravo, Cartoon Network, CBS Sports Network, Cheddar News, Cheddar Business, CNBC, NBC Sports, CNN, Comet, CW, Discovery Channel, Disney Channel, Disney Junior, Disney XD, E!, ESPN Sec Network, ESPN, ESPN2, ESPNU, ESPNews, Food Network, Fox Business, Fox News, Fox Deportes, Freeform, Fox Sports 1, Fox Sports 2, FX, FXM, FXX, Golf Channel, HGTV, HLN, IFC, Investigation Discovery, Local Now, MLB Network, Motortrend, MSNBC, MyNetwork TV, National Geographic, Nat Geo Wild, NBA TV, NBCSN, Neon, NESN, Newsy, Olympic Channel, Pop, SEC Network, Smithsonian, Sundance TV, SNY, SyFy, Tastemade, TBS, Telemundo, Tennis Channel, TLC, TNT, TCM, Travel Channel, truTV, TYT Network, Universal Kids, Universo, USA, WE tv, YES. 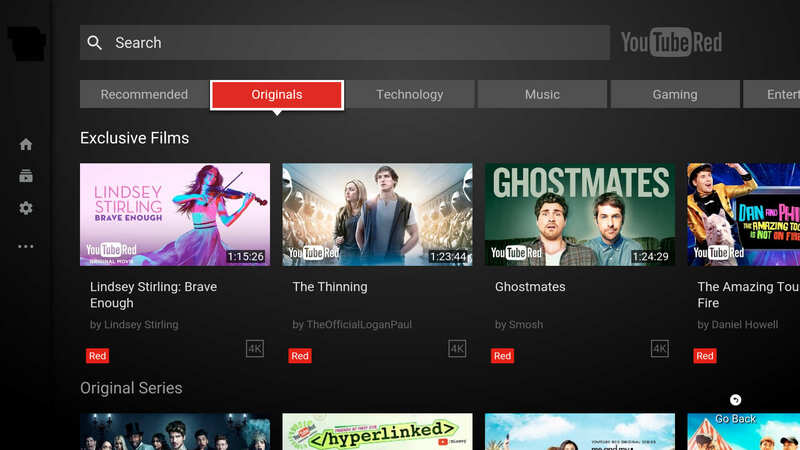 Users also get access to YouTube Originals. It should be mentioned, that not all of these networks are available everywhere and that there are also several regional sports networks available, such as Fox Sports, NBC Sports, NESN, and more. When you create your account, YouTube will give you the exact list of channels that are available for you. 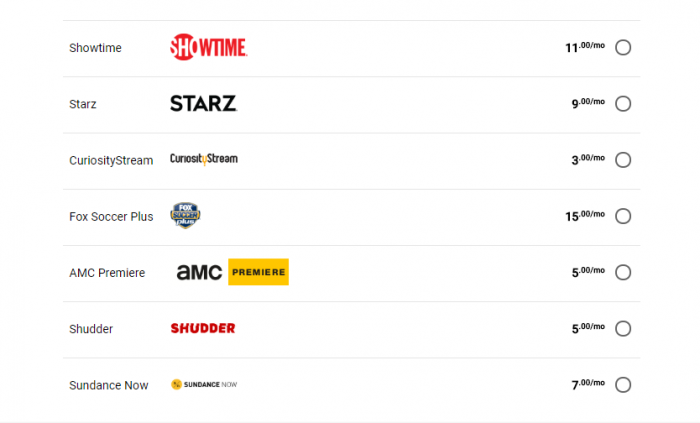 While YouTube TV may not have a lot of variation in terms of channel packages, it does allow users to customize their accounts by adding premium channels. Showtime – For $7 per month, you can watch loads of movies, series, and documentaries from Showtime. Starz – Another $9 per month will also get you access to the vast Starz library and everything original content. CuriosityStream – The cheapest option on the list, CuriosityStream only costs $3 per month, but it will give you access to over 1,500 documentaries. Fox Soccer Plus – If you’re into sports, then you might want to shell out $15 per month to get access to Fox Soccer Plus. AMC Premiere – The Walking Dead is just one of the many AMC shows you can watch via AMC Premiere for a mere $5 per month. Shudder – If you’re into horror movies, thrillers, and suspense flicks, then the extra $5 per month you’ll have to pay for Shudder may not seem like much. EPIX – For $6 per month, you’ll now be able to watch EPIX hits whenever you feel like it. Sundance Now – Go against Hollywood and pick Sundance Now for $7 per month to watch independent movies, documentaries, and more. NBA League Pass – You can keep up with all your favorite teams via the NBA League Pass, which is quite costly at $40 per month. You’ll be able to watch all out-of-market regular season NBA games with no ads, getting arena feeds instead of ad breaks. You can also rewatch the games later on via video-on-demand. You may not get to customize the list of channels YouTube TV offers to a T, but you can make sure everyone in your household has their own login, as the service allows up to 6 profiles per account. And since everyone gets their own separate login, you’ll also get notifications when your favorite shows are on. Even the DVR is personalized. YouTube TV, however, only allows simultaneous streaming on three different devices. Perhaps the coolest part about YouTube TV is the fact that it allows users to record as many shows as they want. No, seriously, there’s no storage space limits whatsoever. Furthermore, the recordings will be saved for up to 9 months, as long as you maintain your membership status. This is included in the $50 per month subscription price, so you don’t have to pay anything extra. While we may like to think that 4K is an actual streaming option, the reality is that TV channels don’t offer anything beyond 720p videos. That being said, you still need to have a strong Internet connection to get things going. YouTube TV mentions that if you have under 3 Mbps you’re likely to suffer slow loads and loads of rebuffering. With over 3 Mbps you can stream standard definition videos. With 7 Mbps you can stream one HD video, meaning that if your family members also plan to stream content at the same time as you, you’re going to have some buffering issues. YouTube TV puts 13 Mbps as the desired speed if you’re going to reliably stream HD videos on multiple devices using the same network. 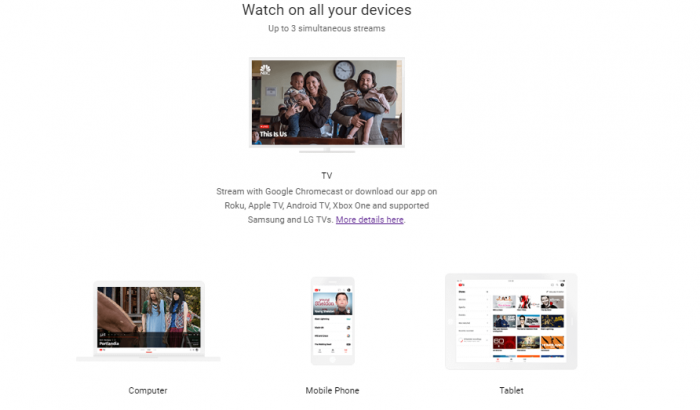 The YouTube TV platform is available on a number of devices. Of course, you can stream the content to any type of TV with the help of Google Chromecast. Alternatively, you can also download apps for Roku, Apple TV, Android TV, Xbox One, as well as various supported Samsung and LG TVs. There’s also the option to watch the content straight on your iOS or Android smartphones and tablets. There’s no support for PlayStation consoles, however, and if you’re planning on watching on your computer, you’ll have to use the website directly from your browser, as there are no dedicated Windows or iOS apps. The channels on YouTube TV are divided by categories so they’re easier to access. For instance, you can watch channels that are focused on Music, Food, Beauty, Comedy, Entertainment, News, Sports, Technology, Gaming, or Family, to name a few. You can also see what’s live right now by checking the “Live” tab. Everything under the Sun has a good and a bad side, advantages, and disadvantages. We’re going to try and help you make a decision by telling you what we think of YouTube TV. We hope we’ve helped you make a decision regarding YouTube TV, whether this is the right platform for you or now. YouTube TV has the potential to be such a great platform, especially with the unlimited DVR space it offers. But there is a lot of room for improvement still.